Everyone loves a good waffle. 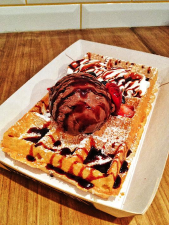 And waffles have become one of the most popular trends in Hong Kong in the recent years. Quite a lot of cafes serve waffles on their menus and some shops are even specialising in selling waffles only. There are actually loads of different kinds of waffles in the world. To name but a few, we have the American, the Flemish, the Taiwanese, the mochi, the Hong Kong, and indeed, the kind of all waffles, the Belgian. It is a wonderful thing, thus, to be able to find an authentic Belgian waffle in Causeway Bay! 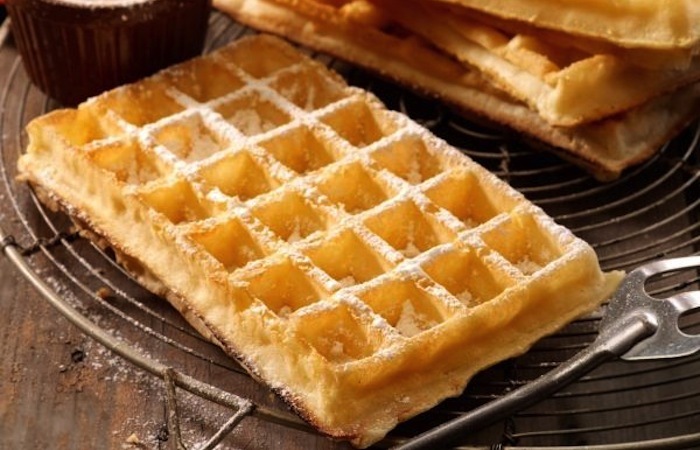 There are two main types of waffles in Belgium, namely the Brussels waffle and the Liege waffle, both whose waffles take their name from the town of origin in Belgium. It’s easy to distinguish between them even just by appearance. The Brussels waffles are rectangular in shape while the Liege waffles are circular. Moreover, the Brussels waffles have larger pockets than the Liege waffle. So, need we travel the long distance to Belgium to search for an authentic waffle? The answer is: NO! 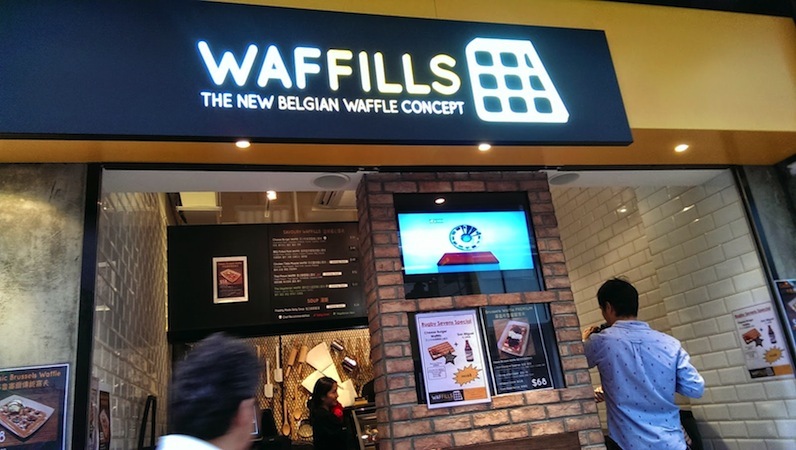 Waffills in Causeway Bay offers an authentic battercake and one of the best Belgian waffles in town. They even offer some innovative savoury waffles in addition to the sweet ones. 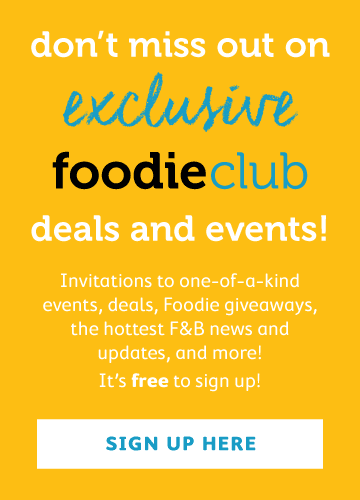 Think pulled pork American style, Mexican Zapato, chicken tikka and Korean beef! But the standouts are the sweets. It is good to note the size of the shop is a quite tiny, with only about 6 seats for the customers to eat-in. The Brussels waffle here is light and crispy. An authentic Brussels waffle should be crusty and dusted with icing sugar. The taste is nice and vanilla-ey, and it’s moist to bite into. The waffle is of course the most important, but the whipped cream that accompanies is smooth and the mixed berries are fresh. The chocolate ice cream is from Glacio, which gives you a strong chocolate flavour. 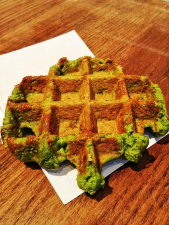 For the matcha Liege waffle, which is an East-meets-West offering, the waffle is rich, doughy, dense and moist as the Liege waffle should be. The texture of the waffle is chewy and the surface is caramelized which gives a lovely sweetness to the Leige that the Brussels doesn’t have. The matcha flavor could do with being a little more pronounced however. 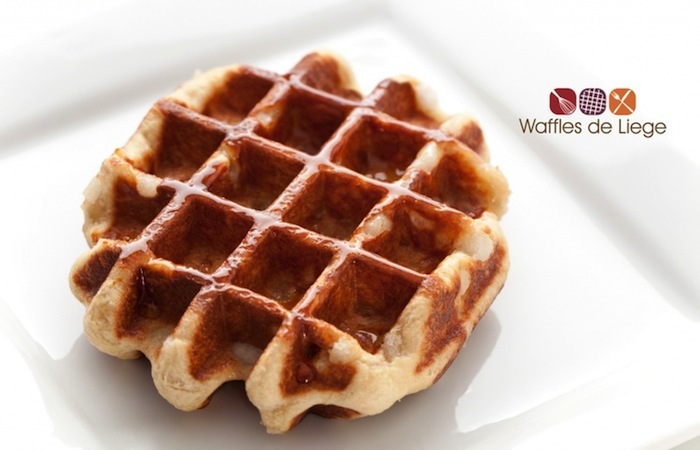 In general, the liege waffle here has got the right texture and you can taste the quality.